It’s not a surprise that the experiences people have as children impact them later in life. But adverse childhood experiences – like abuse or the incarceration of a parent – have been shown to influence the physical architecture of the brain, said Joan Brandt, director of the Department of Health’s Community and Family Health Division. “We adapt to our environment. We are built to adapt, whether [that environment]’s nurturing or hostile,” Brand told the House Education and the House Health and Human Services policy committees during a joint informational hearing Wednesday. Some stress is good for children. Meeting new people and learning how to deal with frustration are necessary parts of growing up. But toxic stress can disrupt typical brain development and chemistry, leading to problems later in life, Brandt said. Events that cause this toxic stress are considered adverse childhood experiences – also referred to as ACEs. The more of these experiences someone has before the age of 18, the more likely they are to develop depression, anxiety, and other chronic health conditions like asthma, Brandt said. People with five or more ACEs are also more likely to never marry or graduate high school, to be unemployed, or worry about buying food, she said. According to a 2011 study, about 55 percent of Minnesotans have experienced at least one ACE while about 8 percent of the population experienced five or more events. Both Native American and African American Minnesotans have “significantly higher” percentages of their communities reporting five or more ACEs compared to other groups, according to the study. living with someone who was incarcerated or had a mental illness. These factors are often interconnected, occurring together, and have a cumulative impact, but they’re not guarantors of future success or hardship, Brand said. Close relationships serve as a “buffer” to sources of toxic stress, and the most common factor in the lives of children who thrive despite adversity is a stable, nurturing relationship with at least one adult. Even if parents are unable to spend a lot of time with their children, other community members like neighbors or teachers can help fill that need, Brandt said. Many public programs, nonprofit organizations, and community groups are working to prevent these earliest experiences that can lead to problems later in life. Family home visiting, for example, is an effective way to mitigate toxic stress with a two-generation approach providing support to both parents and young children, Brandt said. Greta Callahan, a kindergarten teacher in the Minneapolis Public Schools, has countless stories about students struggling to learn while coping with trauma and toxic stress and does her best to support them however she can. That means allowing “unsanctioned naps and snuggle times,” minimizing potential triggers, and letting them express themselves through art, song, and dance. And, at least in one case, giving a doll to one of her students as a birthday present. The little girl had been removed from her home after being sexually assaulted by family members, only to encounter abuse in her temporary foster home. “Literally no one knew that she turned six,” Callahan told the combined committees in an emotional plea for increased support for schools. Educators and school staff have the opportunity to “create beautiful, powerful relationships” with students and help them flourish despite adversity and trauma, but need help to make that happen, said Michelle Viera Keleny, lead social worker at St. Paul Public Schools. professional development for school staff at all levels. 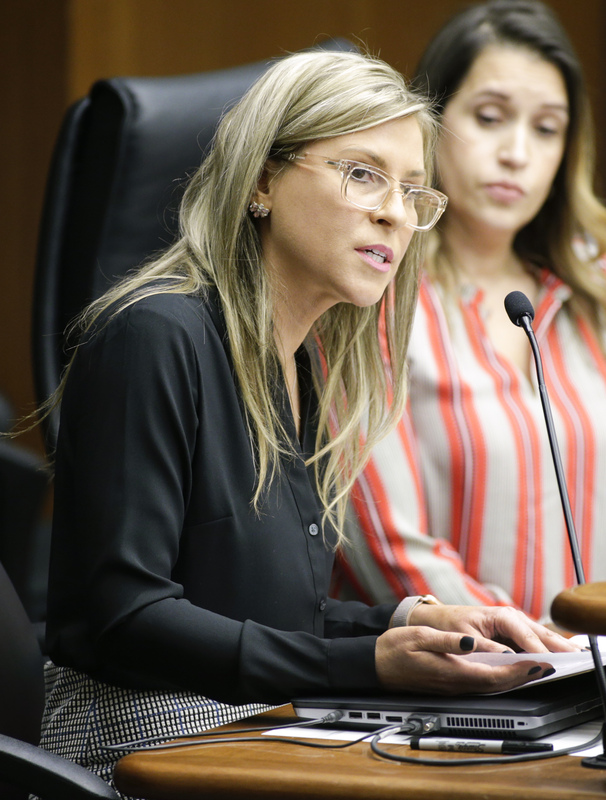 “We are all a product of our childhood,” said Rep. Rena Moran (DFL-St. Paul), chair of the health committee, urging members to consider information from the hearing while making policy decisions this session.